William Francis Hill was born on 19 November 1866 in Tyler, Smith County, Texas. He was known as Frank. He married Josephine Bolt, daughter of Martin Jasper Bolt and Mary Jane Brooks, on 30 December 1885. William Francis Hill and Josephine Bolt appeared in the US federal census of 1 June 1900 in San Saba County, Texas. Other members of the household included Leslie Andrew Hill. Also in the household were children Bettie (age 10), Mary (8) and Zula (4). William Francis Hill and Josephine Bolt appeared in the US federal census of 1 January 1920 in Angleton, Brazoria County, Texas, enumerated in the same household as their daughter Jula Cannan and her family. Other members of the household included Martin Jasper Bolt and Mary Jane Brooks. Also in the household were children David M. (age 16), Frank (13), Minneola (11) and Milburn (9). He was self-employed as a fisherman, according to the 1920 census. William Francis Hill became a widower at the 1 May 1928 death of his wife Josephine Bolt. William Francis Hill appeared in the US federal census of 1 April 1930 in Angleton, Brazoria County, Texas, at Arcola Street. Also in the household were sons W. Frank Hill l (age 24) and Milburn (19) and daughter Zula Cannon (32) and Zula's children Ruth (13) and James W. (3). William Francis Hill appeared in the US federal census of 1 April 1940 in Angleton, Brazoria County, Texas, at Cincinnati Street enumerated in the household of his daughter Zula Cannan. In 1935, he was living in rural Harris County. At the time of his death William Francis Hill was living in Alvin, Brazoria County, Texas, at 1705 Hill Street. 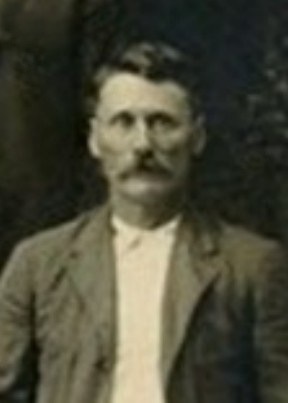 William Francis Hill died on 24 March 1950 at age 83 in Rusk, Cherokee County, Texas, at Rusk State Hospital. He was interred at Angleton Cemetery, Angleton, Brazoria County, Texas.